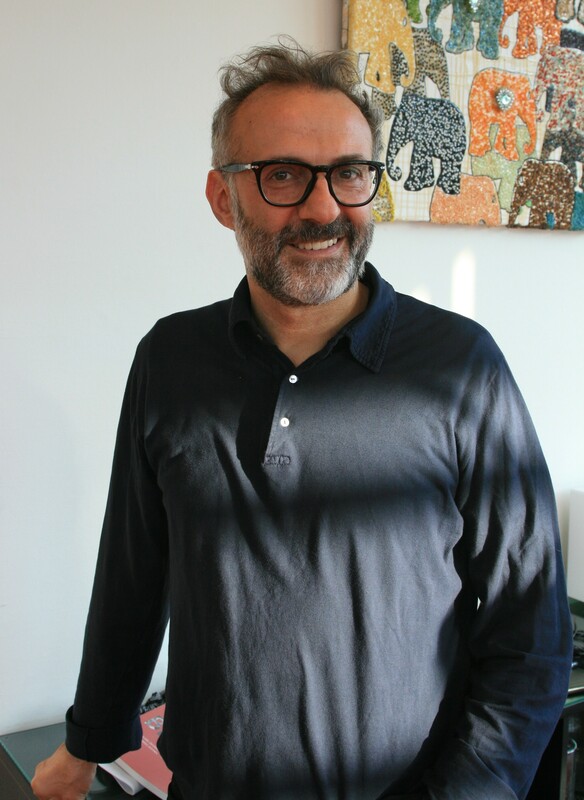 Massimo Bottura, chef patron of Osteria Francescana can be described in many ways. Firstly a chef and owner of the most talked about restaurant in Italy, Bottura is more a philosopher, creative artist and genius than a cook. But. when he gets down to cooking, his creative genius takes over and that is why he is so talked about. Like many geniuses, he can often be misunderstood. Nowhere more than Italy is it so easy to be misunderstood. When he took the stage at Chefs Revolution in Zwolle, on 14 September 2014, many were expecting him to demonstrate his creativity by cooking some of the dishes that have made him world famous. Instead, he gave a 45 minute presentation which left those present spellbound and applauding many times as he spoke about his philosophy and passion. What no one knew, and he only recounted this to a few people who went to speak to him after his inspirational speech, was that his box in which he was transporting the ingredients and food preparations from Italy did not arrive in Zwolle. Instead, he had to create a presentation within less than an hour. Many would probably be thankful for that given he gave what was one of the most inspirational speeches I have ever listened to. There is no question as to why he was voted the best chef in the world by his colleagues. He is looked upon by young chefs not just as a chef but rather as a mentor who speaks his mind even if he could be misunderstood or say things which might make him unpopular. Bottura is an incredibly humble person. Despite the stress of his presentation, he took time to speak to all those who stopped him and posed for photos and selfies with young chefs who had listened in awe. He is also taking time in May to work on a project which aims to tackle the very sensitive issue of food waste. Here was a chef speaking to an audience mainly made up of food professionals or enthusiasts. But he could just as well have been speaking at a motivational seminar such were the power of his words. “Unfortunately we live in an era where we know nothing about everything. This is what I call the Google culture. When we don’t know something, we just rush to Google to find the answer. But that is not the way to learn,” he said. Bottura finds inspiration from two of his passions in life, music and contemporary art. Anyone who has seen his dishes knows that he is heavily influenced by contemporary artists. “I tell you that you need to learn everything you can but then you have to forget it. I remember that one of my most devastating experiences was when I had worked in 1993 in Alain Ducasse’s restaurant. On my last day Ducasse came to me and asked me whether I had taken any notes. He then asked me to see the notebook. I naively gave him the notebook and he immediately tore it up. I was shattered. But then he told me that everything was in my head. He told me, go, you can stand on your own feet. This was one of the most important lessons I have ever learnt,” said the Italian chef. “I immediately understood that once you learn something you can express yourself. You can turn off the light but you can still find yourself and be creative. We know we have five senses but there is a sixth sense and this is your thought. Beauty comes from people’s thoughts,” said Bottura. “I love sunsets and landscapes. You walk into the ruins of Machu Picu in Peru or the Pantheon or Mont St Michel and you are amazed by the power of thought Our ancestors who created these gems by thinking. Like the works of Picasso, they can transmit emotions through their work. 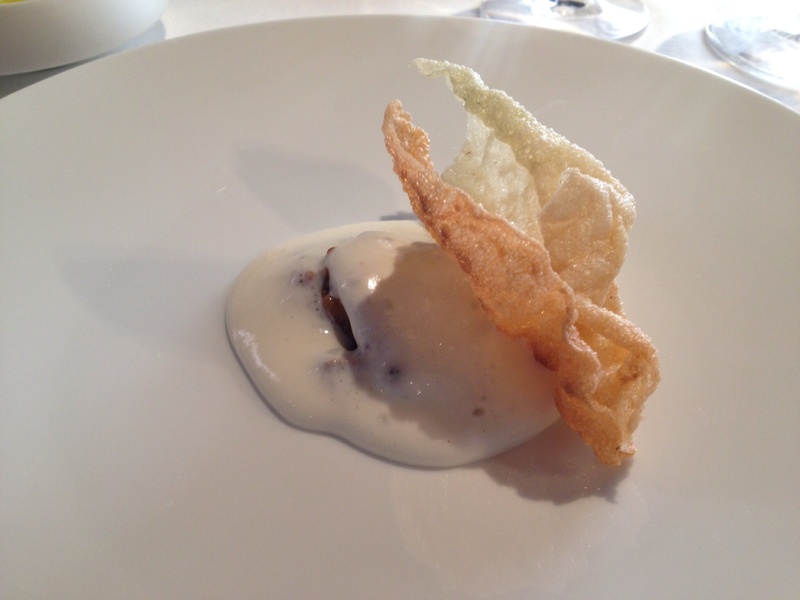 An avant-garde creative, Bottura loves tradition. “Tradition is important because it shows us where we came from. The past defines who we are but it also enables us to dream about the future,” he said. He announced that he would be working next year, during the Milan Expo 2015 to raise awareness about this problem. “I will be working together with some of the best chefs in the world to feed Milan’s poor people and students with the waste which will be generated from the pavilions. I believe that we can still cook great meals from these leftovers. We, as chefs, need to give the best example,” he said to large applause. “Nowadays people have trouble finding their passion. I get asked this question so much. What I say is that when you have a passion anything else does not mean anything. The right idea can come from anywhere. You live your life as a passion. But never forget where you come from. You need to innovate, but you also need to be respectful of tradition. Bottura will be published a book called “Never Trust a Skinny Italian chef” next month. “This is not a recipe book,” he told the audience. “I actually wanted to call it “No Recipes”. Bottura said the route he took was hard. “I try to concentrate on the future and evolve not to get stuck in the past. Art is the highest thought, it is the landscape of ideas. My advice would be that if you trust your ideas you need to keep going, you need to insist. Sooner or later your ideas will be recognised,” he said. He told the audience present that they should read as much as possible, “My recommendation if you have an interest in something is to go deep into it. I was maybe critical of the google generation which I recognise is important, but at the same time going deep into a subject is also important. To me food, like art, is a vehicle to transfer emotions,” Bottura said.